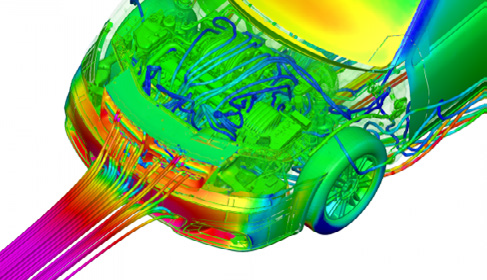 Creo Flow Analysis extension puts CFD in the hands of every engineer. As products become more complex and timelines shorten, you need a CFD solution that allows you to analyze liquid and gas flow early in your design process. With Creo FAE, you can reduce expensive hardware testing and gain unique insight into your products. Simerics, a leader in simulation software for fluid pumps, valves, compressors, motors, and systems. Now you have a fast, highly-accurate CFD solver integrated into your Creo workflow and made for you, the engineer and designer. Scalable: three levels of capabilities for users ranging from engineer to analyst. Creo is a 3D CAD solution that helps you build better products faster by accelerating product innovation, reusing the very best of your designs and replacing assumptions with facts. Go from the earliest phases of product design to a smart, connected product with Creo. Add augmented reality to allow everyone to visualize your design. In the fast changing world of the Industrial IoT, no other company can get you to the substantial value as quickly and effectively as PTC.